PRI’s Policy Director, Andrea Huber, says that the overuse of imprisonment, prison overcrowding and the poor state of the world’s prisons are inextricably linked. Human rights bodies should start to address the chief drivers of prison overcrowding – in particular excessive reliance on pre-trial detention and custodial sentences for minor, non-violent offences. If they don’t, they will continue to document the human rights impact of appalling prison conditions without ever being able to remedy them. This blog is based on a presentation given at a side-event focused on the ‘Human rights impact of the overuse of detention’ at the 28th Regular Session of the UN Human Rights Council last week. More than 10.2 million people are incarcerated globally in the criminal justice context, pending trial or following conviction. This number means that 144 people in every 100,000 are in prison. Prison populations are growing in all five continents and beyond what can be expected given the growth in the world’s population. Between 2008 and 2011, prison populations grew in 78 per cent of countries. As a consequence, overcrowding in prisons is also a global problem: out of the 203 jurisdictions for which data had been collected in January 2015, 112 had a rate of prison occupancy above 100 per cent. Yet, the human race isn’t coming more ‘criminal’. Growth in prison populations is – to a large extent – a political choice. Countries with high rates of imprisonment do not necessarily also have high crime rates. Rather, experiences such as New York City for example, has shown us that a fall in crime can be achieved at the same time as a reduction in the prison population. I would highlight two main causes of overcrowding: the excessive use of pre-trial detention and the incarceration of offenders for minor, non-violent offences. Imprisonment is being used as a default reaction. More and more offences are criminalised and prison sentences are increased thanks to ‘tough on crime’ approaches. This message has prompted law-makers, judges and societies to believe that prison is the only available sanction, although non-custodial sanctions – such as community service, restorative justice, warnings, fines, compensation orders or house arrest – have proven to be more effective. While imprisonment certainly has an important role to play in securing accountability and public security, research has not found a clear link between crime and violence on the one hand and the use of prison on the other. Research generally indicates that increases in the certainty of punishment, as opposed to the severity of punishment, are more likely to produce deterrent benefits. For minor, non-violent offences, prison sentences are a bad choice, both in terms of penal policy as well as human rights. The UN Special Rapporteur on torture characterised the overuse of imprisonment as ‘one of the major underlying causes of overcrowding, which results in conditions that amount to ill-treatment or even torture’. But there is also a concern about the necessity and proportionality of deprivation of liberty. In terms of penal policy, when imposed for minor, non-violent offences, prison sentences are more likely to start a cycle of criminality than to provide accountability, do justice to the victims of crime or contribute to the security of society. 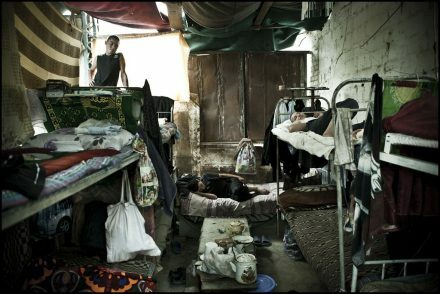 In one country – among the 25 with the most overcrowded prisons in the world – a human rights group established that overcrowding is attributed in part to the practice of detaining those who are unable to pay criminal fines, and the use of prison sentences that are not commensurate with the crimes committed. In another country, PRI research has found that offenders were imprisoned for periods of up to six months, for example for the following offences: using abusive language, operating a small business without a valid business licence or possession of illicit ’liquor’. These offences could be dealt with in more effective and economical ways than with a prison sentence. And they put an unnecessary burden on prison administrations, prison staff, prisoners – and state budgets. Does the human rights framework reflect this? A wide array of standards and guidance has been developed on conditions in detention and the treatment of detainees, but guidance with regard to the right to liberty and limits to its deprivation appears to be far less advanced and detailed. Human rights bodies, including the Treaty Bodies and Special Procedures, have not dedicated the same attention to the question of necessity and proportionality of imprisonment, in particular not in the context of criminal law. Where sources are available they are limited to pre-trial detention, except for the ‘odd’ call for increased use of non-custodial measures and sanctions. The Working Group on Arbitrary Detention continues to be the one body with a mandate relating to the right to liberty explicitly, but it is limited to the threshold of arbitrariness of detention. In terms of standards, the UN Standard Minimum Rules on the Treatment of Prisoners are consistently used and referenced in order to interpret the permissible treatment in detention. The parallel standards –the UN Standard Minimum Rules for Non-custodial Measures (the Tokyo Rules) –for the use of non-custodial measures and sanctions, however, have notably not had any significant impact on the interpretation of the necessity and proportionality of detention in the criminal justice context or otherwise. So, what does it all mean for the Human Rights Council? The existing monitoring mechanisms, for the most part, can – more or less comprehensively – look into the conditions of detention. They continue to document appalling prison conditions regularly due to or linked with overcrowding. Yet, there is no human rights body with a mandate to document and analyse the systemic issues that lead to prison overcrowding. The detrimental human rights impact of overcrowding on prisoners has been documented. Strategies to reduce the number of people in prison are therefore not only a measure of policy reform, but a human rights requirement. Member states, the Human Rights Council, UN Special Procedures and Treaty Bodies should pursue a preventive approach, promoting the reduction of detention based on the principles of necessity and proportionality and the use of non-custodial alternatives wherever possible, as a means to address human rights concerns relating to the overuse of detention. This would, at the same time, free up resources to improve prison conditions. Without addressing the issue of overcrowding and mass incarceration, existing human rights mechanisms will continue to report on deplorable detention conditions across the globe without ever being able to remedy them. Wright V, Deterrence in Criminal Justice: Evaluating Certainty v. Severity of Punishment, The Sentencing Project, November 2010. SG report July 2013 at para 86: the disproportionate lengths of sentences in relation to the seriousness of offences have been identified as contributing to overcrowding of prisons. A/HRC/16/47/Add.3, para. 77; A/HRC/7/3/Add.3, para. 65, CCPR/CO/81/BEL, para. 19.